Jim Giannosa is stepping down from the Planning Commission after 13 years of dedicated service and having never missed a meeting. 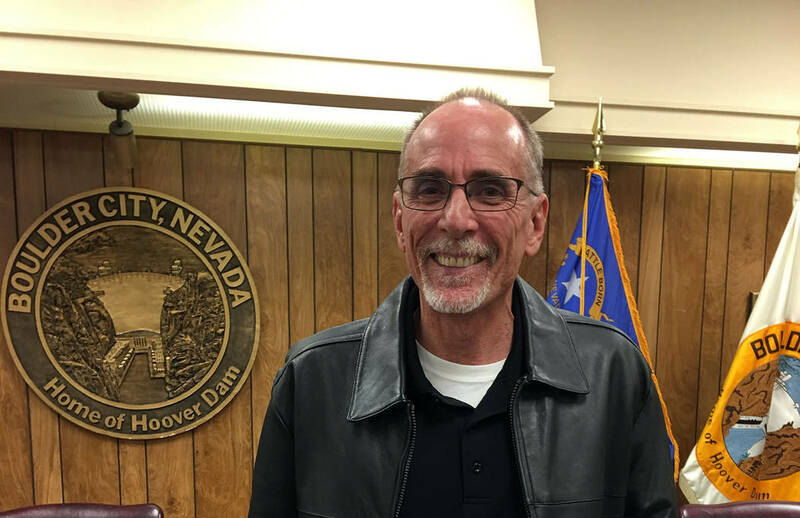 Boulder City Jim Giannosa was recognized by the Planning Commission for his 13 years of service to the organization at the Dec. 19 commission meeting. Giannosa's term expired and he is not seeking reappointment. The Dec. 19 meeting was his last after he decided to not sign on for another term. Now, has his sights set on being part of another city organization. He said he served because he loves the Boulder City community and wants to do whatever he can to make it better. Giannosa weighed in on a variety of projects during his tenure including the recent StoryBook Homes subdivision, Boulder Hill Estates. Another element of growth Giannosa was a part of was the solar field development in the Eldorado Valley. Even though he won’t be part of the decision-making process, he believes there is much that can be done to improve the community. Before starting on the Planning Commission, he served on the city’s allotment committee. He was appointed to fill a vacancy on the commission, where he has been ever since. Booth said he was also good at putting complicated plans into understandable terms. Giannosa said it will be weird not being on the Planning Commission and he will miss interacting with the other six people on the committee. “It’s always good to spar with them,” he said. When not volunteering in the community, Giannosa works full-time as a construction project manager for Boyd Martin Construction. Additionally, he is a roofing contractor and does some handyman work.